We are able to provide high quality and full after-sales service to our customers. 2. Q: Do you accept trial order less than 100 pcs9 A: Yes, we do. 3. Q: Can we get samples9 A: Yes, we can provide regular samples, free of charge. 6 YRS Shenzhen Sunquest Technology Co., Ltd.
(2)7-10 days if you need same fabric same design. 4.We can provide samples for you to check quality. ) ,If you have any questions, pls do not hesitate to contact with us . Creatronics Purpose :Spread the best design and quality Chinese fashion accessaries to all over the world. Warm Regards Creatronics Sales Team Creatronics-Your best fashion accessaries supplier! 2) We can make design according to your sample, then remake sample. 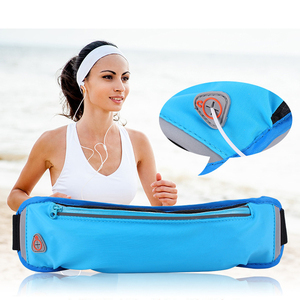 Product Feature Wholesale custom promotional outdoor fabric waterproof collapsible with ID pocket water bottle sport belt running bag waist belt 1). Q:How can I get a sample to check your quality9 After price confirmation, you can require for samples to check our quality counter display. But the sample cost can be refundable after order confirmation when your quantity of the order is more about the MOQ. Q. 3 YRS Dongguan Starx Electronic Science And Technology Co., Ltd.
5 YRS Anxi Yeehung Sports Product Co., Ltd. These bands can be used for anything, You can put them on your wrists, ankles, bike, helmet, and even on your dog for those evening walks. 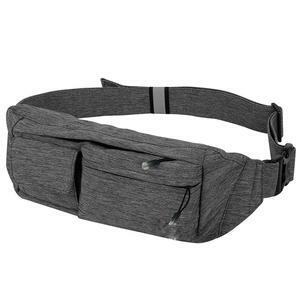 Many people use this Waist Pack as a Money Belt as well as it stays tight to your body and won't rip or tear to keep your belongings safe when trav elling. 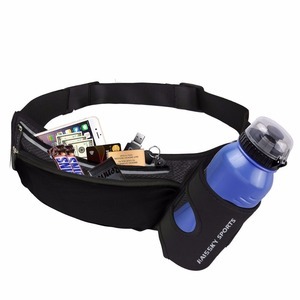 WATER BOTTLE HOLSTER - Comes with a holster that will fit most smaller water bottles to allow to bring a a drink for those long runs . 2 YRS Baoding Boming Bags Manufacturing Co., Ltd.
4, What is your main markets9 Our main market is United States, Europe, Australia and South America. 6, What are the material stands you can meet 9 Our material can pass the 6P test, REACH, Prop 65 and FDA standard. 2, Lead time Normal the lead time is 40days after sample approve and order confirm. 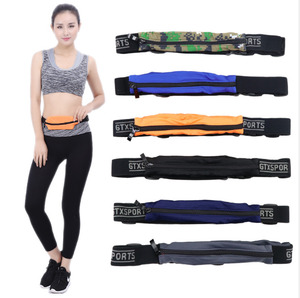 1 YRS Guangzhou Copas Electronic Commerce Co., Ltd.
2 YRS Shenzhen Brightwell Sports Goods Co., Ltd.
2-Can I private with my LOGO on our running belt9 - Yes, Accepted. 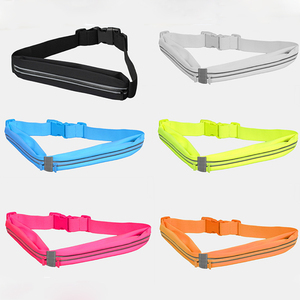 3-How about customized package for running belt9 - Accepted, we can produce the OEM package according to your design. 4-Can you do UPC sticker for each piece running belt9 - Yes, we're very familiar with it. 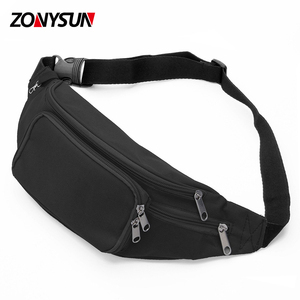 Alibaba.com offers 20,059 pocket belts products. About 34% of these are backpacks, 13% are waist bags, and 1% are genuine leather belts. A wide variety of pocket belts options are available to you, such as unisex, women, and men. You can also choose from pu, polyester, and genuine leather. As well as from free samples, paid samples. There are 20,059 pocket belts suppliers, mainly located in Asia. The top supplying country is China (Mainland), which supply 100% of pocket belts respectively. 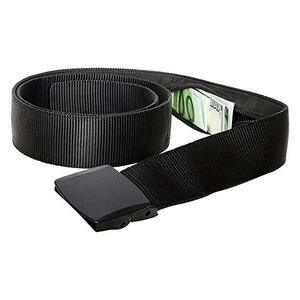 Pocket belts products are most popular in North America, Western Europe, and South America. You can ensure product safety by selecting from certified suppliers, including 2,977 with ISO9001, 2,143 with Other, and 1,267 with BSCI certification.